Nana is a nice small salvia about 50cm with bright blue flowers. I haven’t really mastered growing it yet so it is possibly not going to be a good one for beginners. I am not sure if it wants part shade or sun or what. 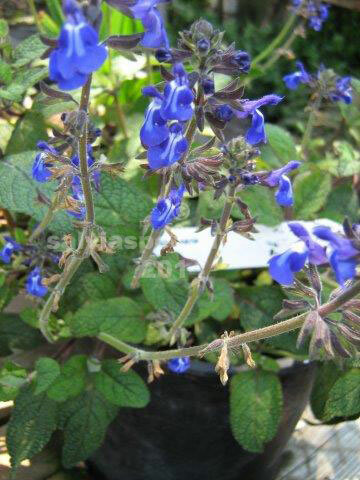 Better stick with the small tried and true bright blue sinaloensis for sun instead.